October 11, 2015 October 5, 2015 Amanda B. It is nice to see some fresh and new literacy centers that others are doing. I can’t say that my centers are unique, but they may give you some ideas for your classroom! So here are some of the literacy centers that the children were doing this week! It was my teaching partner’s birthday over the weekend, so our writing center was a birthday card making center! 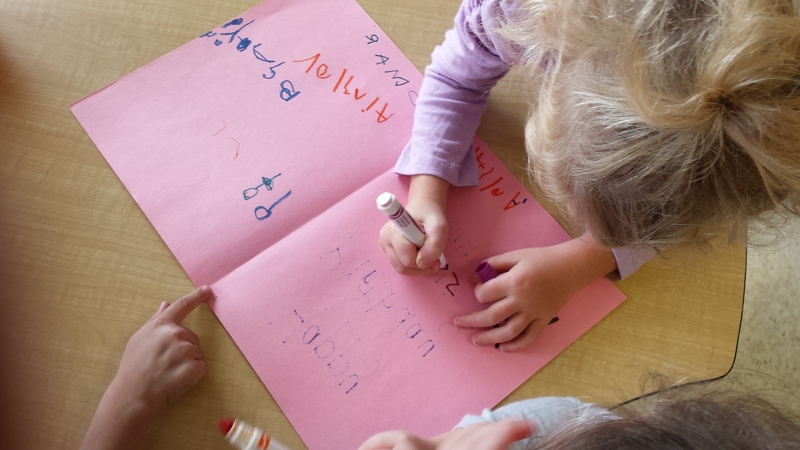 The kids loved signing their names and adding their own special touch to the card! My teaching partner found these at the dollar store! They look like cut-up pool noodles. 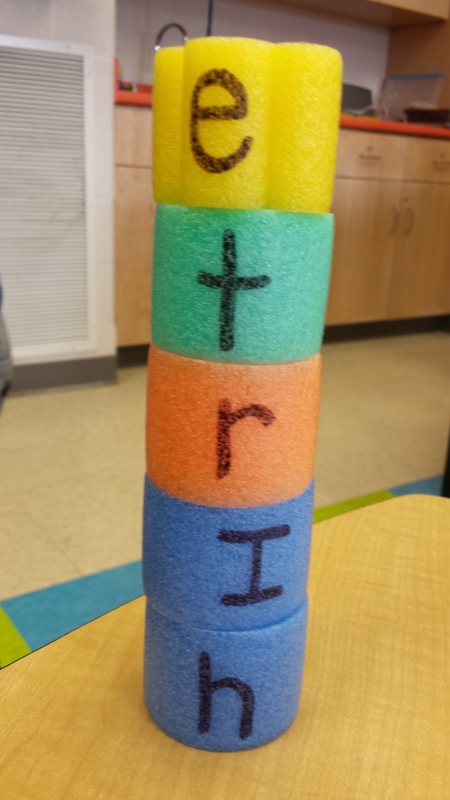 She put letters on them, and the kids love building towers out of them. 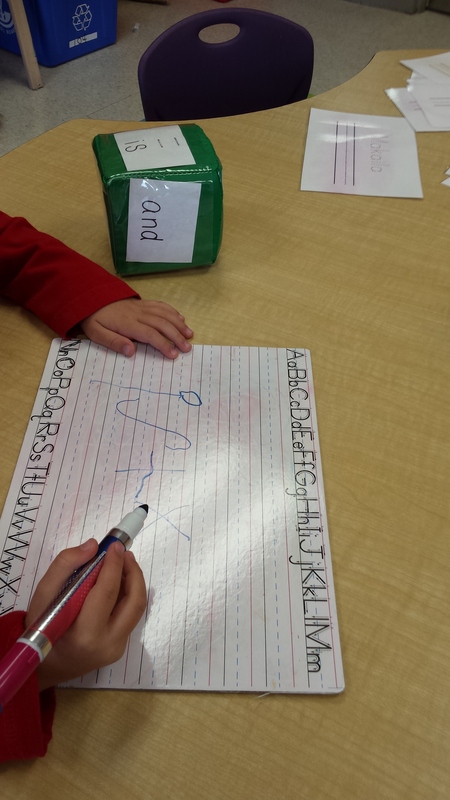 For the SK’s we ask them to try to build their sight words, and the JK’s practice their letter recognition. These are great! The kids love to use bingo dabbers. I’m not sure why, but they go crazy over this center every time we put it out. There are lots of different sheets you can get for these, but you can find the ones we use here. Another building game, this time with the blocks. 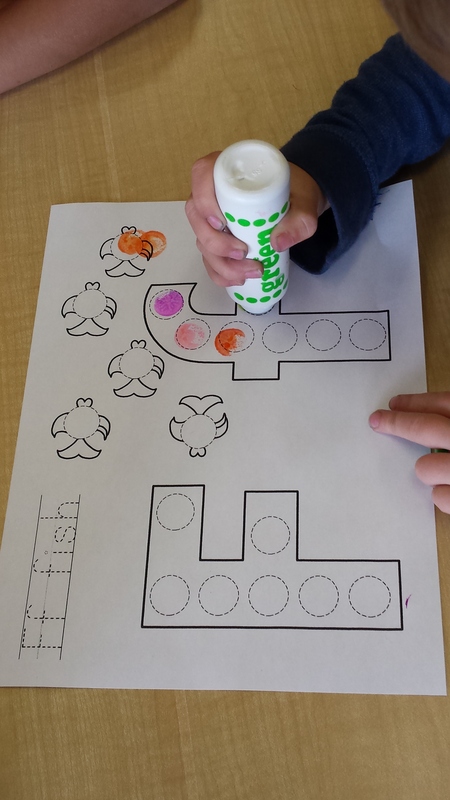 The goal is to match up the letters to the sight word. They do a great job with this, and they love it! 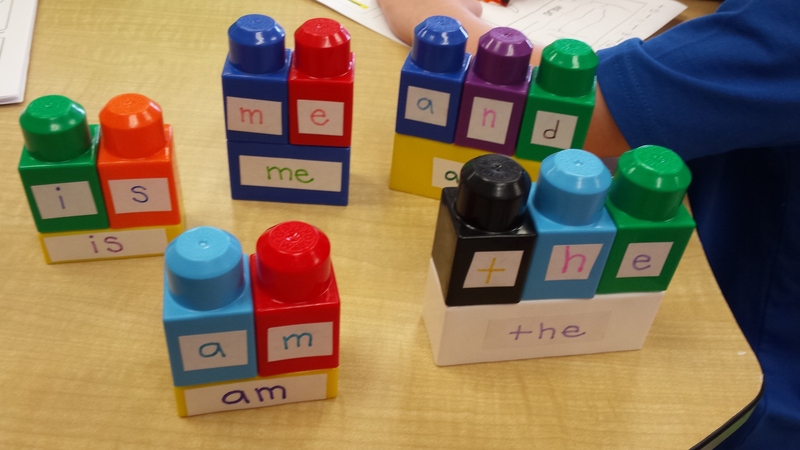 For this one, I printed out letters and sight words on a piece of paper, then inserted them into the pockets of the cube. The child has to roll the cube and write whatever letter/sight word it lands on! 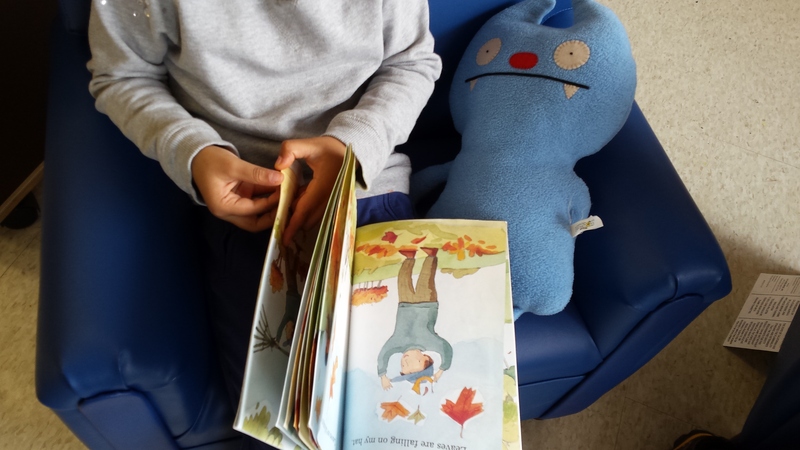 Our reading center is always open, the children even have reading buddies that they can sit with while they read! 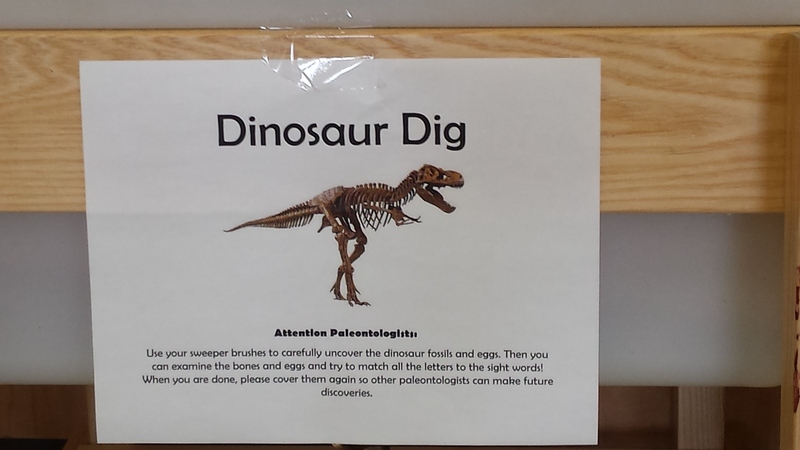 Our Dinosaur Dig sand table (read more about it here)has been open all week and the children have been loving it, I even made a little sign for our excavation site that you can print out for your own classroom. What are your favourite/most popular literacy centers? Previous postTower Building Printable Freebie! Next postCreate a Pattern Spinners! FREEBIE!